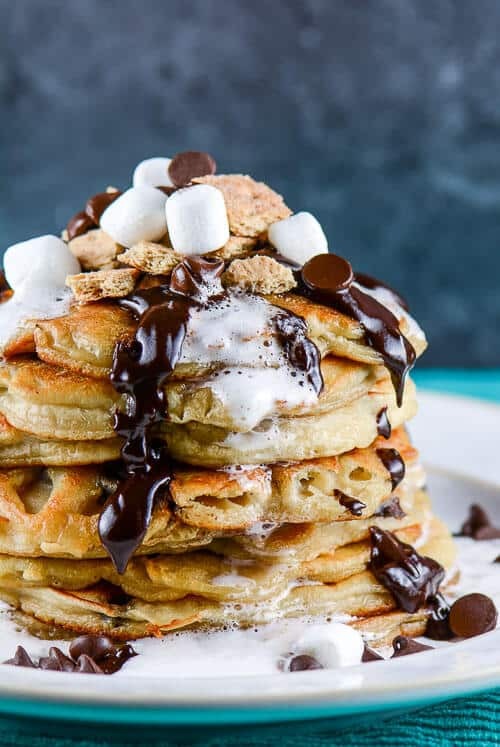 S’Mores Chocolate Chip Pancakes with chocolate ganache and marshmallow syrup make breakfast yummy, sweet, and fun! With this special breakfast recipe that was my June contributor post on Realhousemoms.com, you are in for a real treat because this is three recipes in one: the pancake recipe, the chocolate ganache recipe, and the marshmallow syrup recipe. Nothing says summer more than S’Mores! With kids out of school and Father’s Day coming up, I wanted to make a special fun, sweet summer breakfast that the whole family would love. Who doesn’t love S’Mores? The chocolate, marshmallows and graham crackers together will bring a smile to anyone’s face. But how to you make it even better? Put them on top of pancakes! Wowza! Boom! Out of this world good! 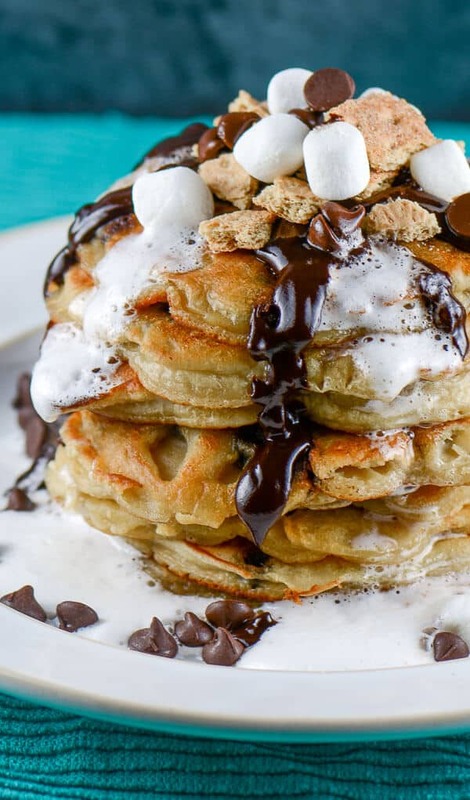 These S’Mores Chocolate Chip Pancakes with a creamy, melty, chocolatey ganache, and the sticky sweet marshmallow syrup dripping down the side of the pancakes will make anyone’s heart go pitter pat. Then top them with crumbled graham crackers, chocolate chips, and mini marshmallows, and then I’m in heaven. I made these for breakfast for our family on a Memorial Day weekend Sunday morning. There is no tougher critic of my cooking than my Mother-in-law. You should have seen her eyes light up as I placed these S’Mores Chocolate Chip Pancakes in front of her! She was like a kid. And there was nothing left on the plate afterward. Just a giant grin on her face. For which occasion will you make these yummy S’Mores Chocolate Chip Pancakes? For the recipe for S’Mores Chocolate Chip Pancakes head over to Realhousemoms.com. 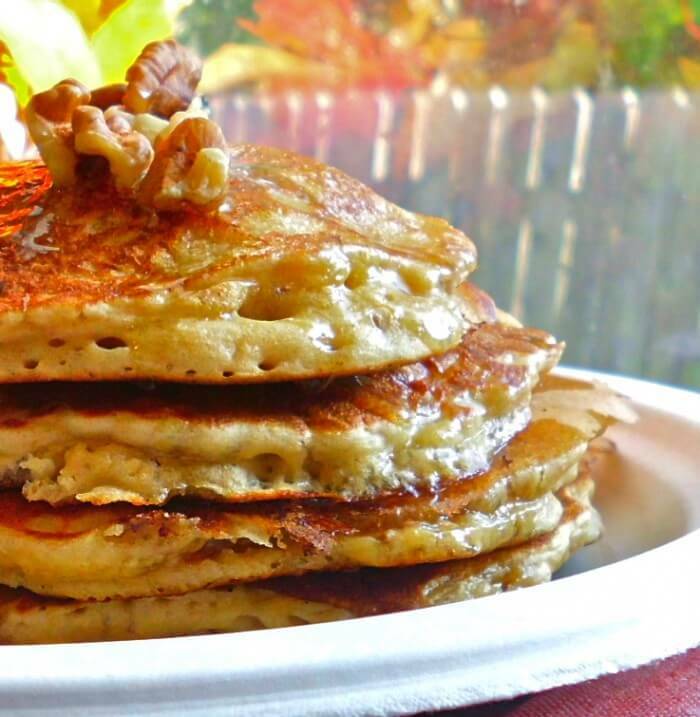 If you looking for a healthier option for pancakes, then try my Oatmeal Pancakes Recipe. 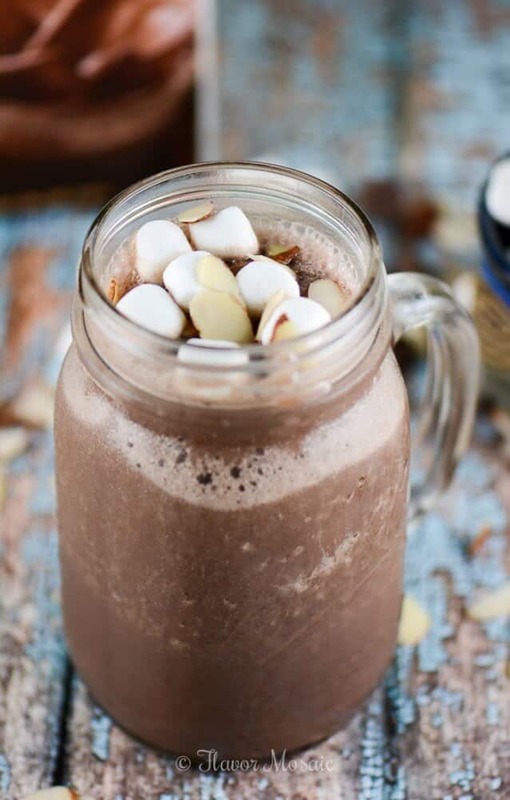 Another fun kid-friendly breakfast recipe is my Rocky Road Chocolate Smoothie recipe. OMG, Michele! What a luscious stack of goodness! LOL! Yes it is! Thanks Valerie.